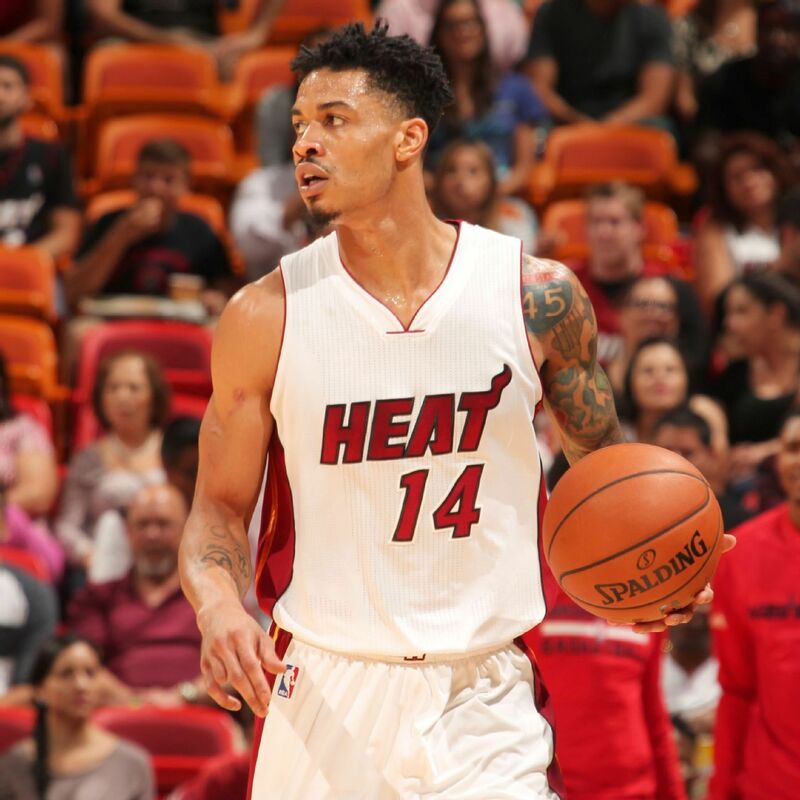 Miami Heat’s Gerald Green was born in Houston, Texas, on January 1986. Green was drafted in 2005 by the Boston Celtics as the 18th overall pick in the first round. After receiving limited time that season, Green was sent to the D-League to play for the Fayetteville Patriots then later reassigned to the Florida Flame’s. Thirty-two games into the preseason, Green was only averaging 11.8 minutes and 5.2 points with 1.2 rebounds in the D-League. Later that year, Green started to improve in all areas of his game. Starting of the 2006-2007 season, Green was brought back by the Celtics and began receiving little playing time behind Paul Pierce and Wally Szczerbiak. Green started his first game in December against the Philadelphia 76ers. At the end of the 2006-2007 season, Green averaged 10.4 points, 2.6 rebounds and 1 assist per game. Known for his dunking, Green later that year won the NBA slam dunk contest. Green was traded by the Celtics to the Minnesota Timberwolves on July 31st along with other players for Kevin Garnett. Green didn’t like it in Minnesota because he was stuck on the bench behind many other players at his same position, so green asked to be traded. On February 21, 2008, the Timberwolves traded him to the Houston Rockets, which was his hometown, but was later released by the Rockets becoming an unrestricted free agent. Gerald Green was then signed by the Dallas Mavericks to a one year contract in 2009 where he averaged 17.7 points per game, 2.7 rebounds per game, and 1.8 assist per game, while playing for 25.8 minutes per game. After the season with Dallas, Green decided to play outside the NBA. Returning in 2011 to the NBA, Green signed with the Lakers who later that year in December decided to waive him. After the 2011 season, Gerald received a 10-day contract from the Brooklyn Nets and during that 10-day contract he recorded one of the greatest windmill dunks. Green was later signed for the rest of the season by the Nets and averaged 12.9 points with 3.5 rebounds in 31 games played. During the 2012 off-season, Green signed with the Pacers where he recorded a series of highlights. Green made a name for himself while participating in that year’s All-Star weekend, which made Green’s third participation in the NBA Slam Dunk Contest. In the 2013 off-season, Green was traded to the Phoenix Suns where he would play for a decent amount of time despite being traded and waived by several teams over the earlier years. During his time with the Phoenix Suns, Green much improved as a player. Green would average 15.8 points per game, which was a career high for him. During that season Green scored a career high 38 points in an overtime loss to the Denver Nuggets. Then later that year, he had another breakout game and recorded another career-high of 41 points in a victorious game against the Oklahoma Thunder. In addition, he scored a career-high 8 made three-pointers in that same game. In the 2015 off-season Green would sign with the Miami Heat where he is currently playing.